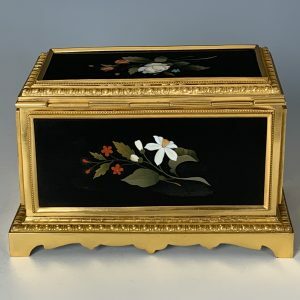 A late 19th century Florentine Pietra Dura scent casket. 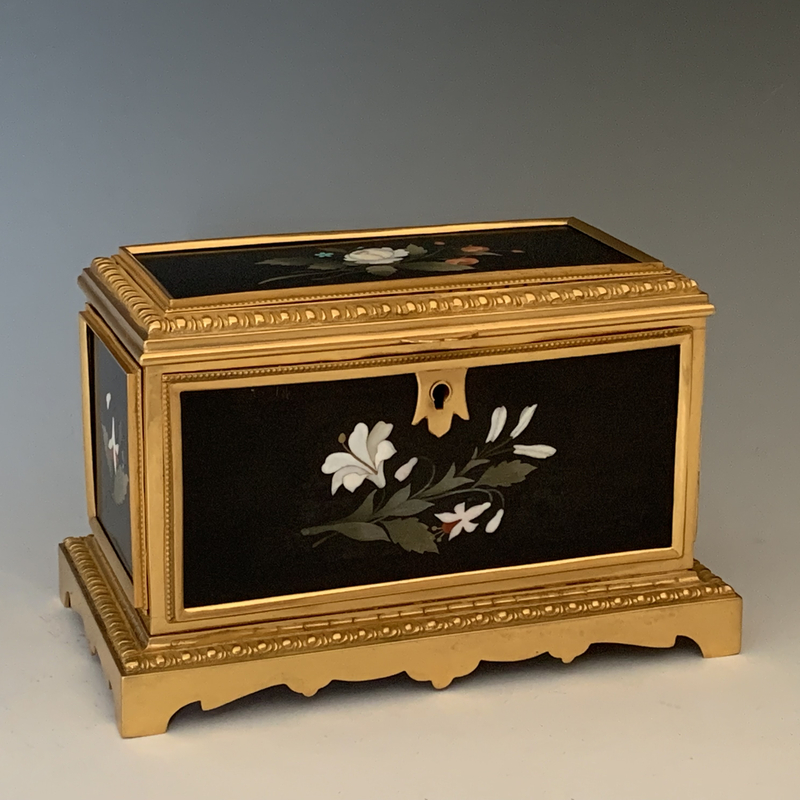 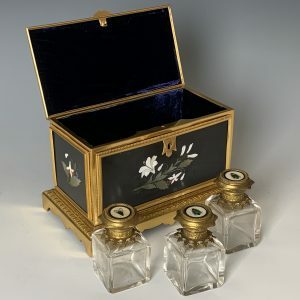 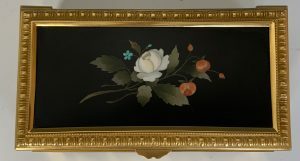 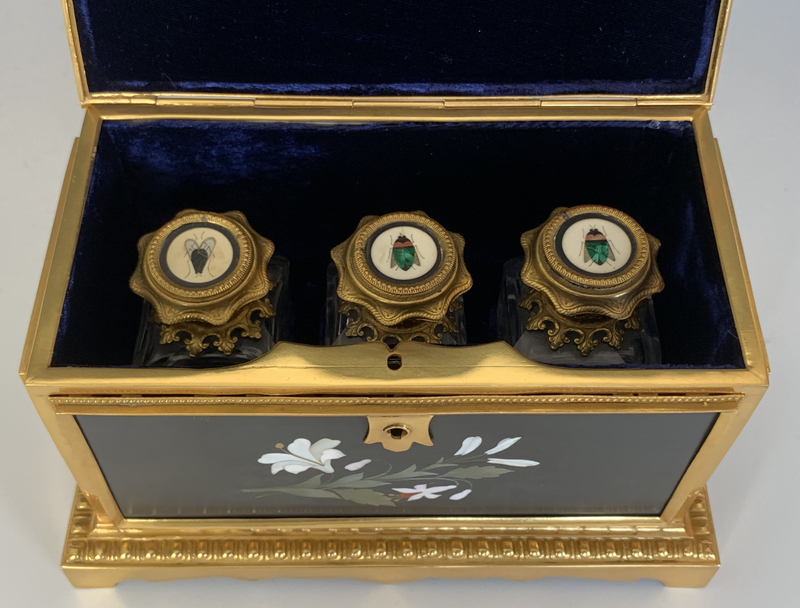 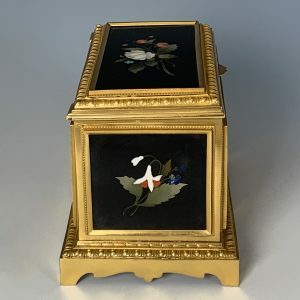 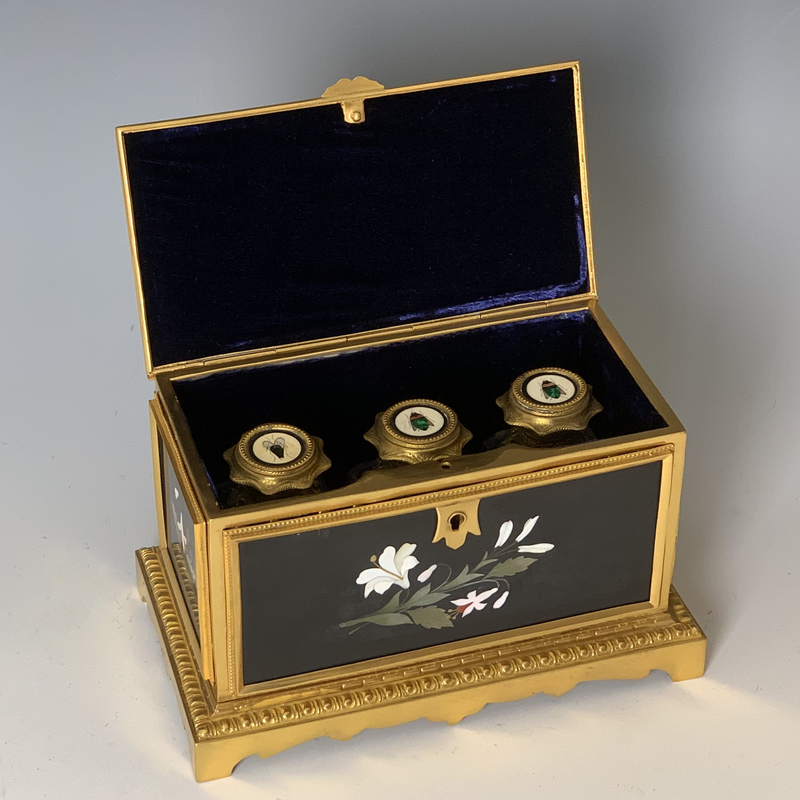 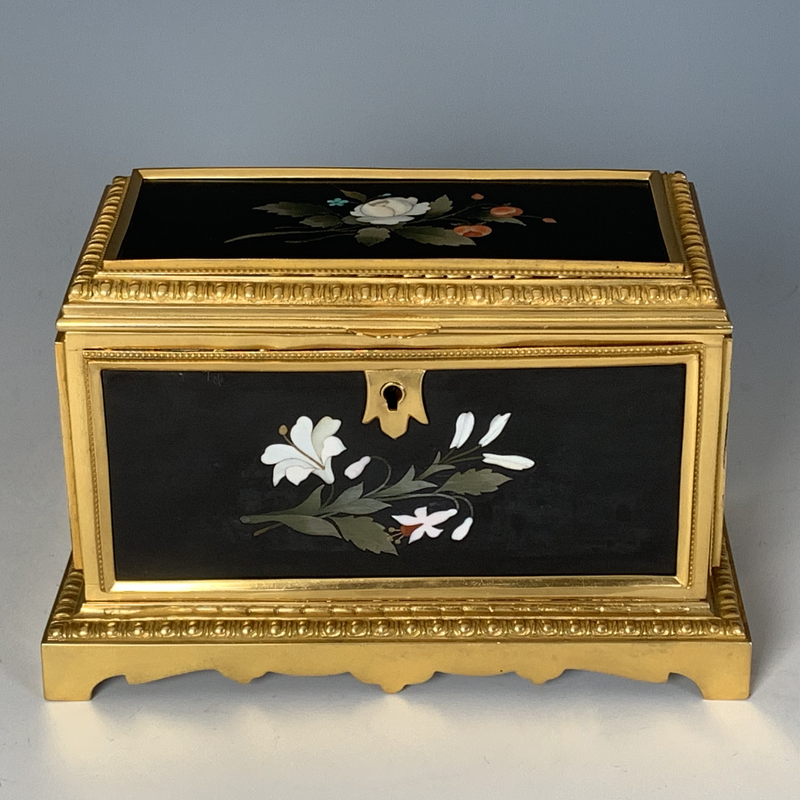 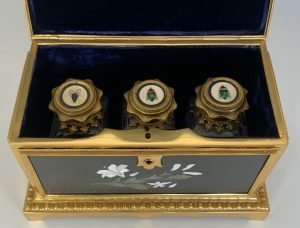 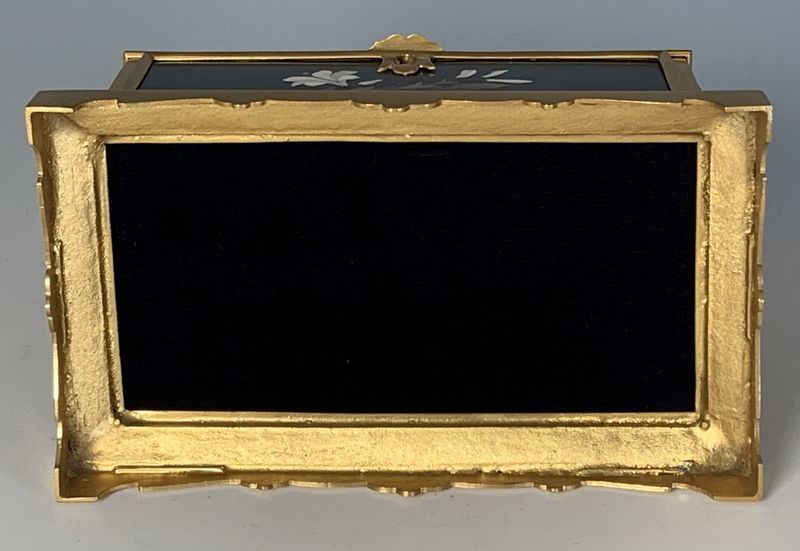 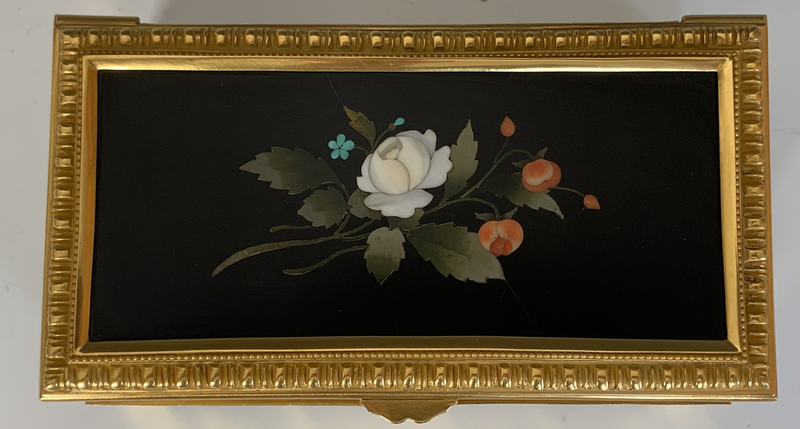 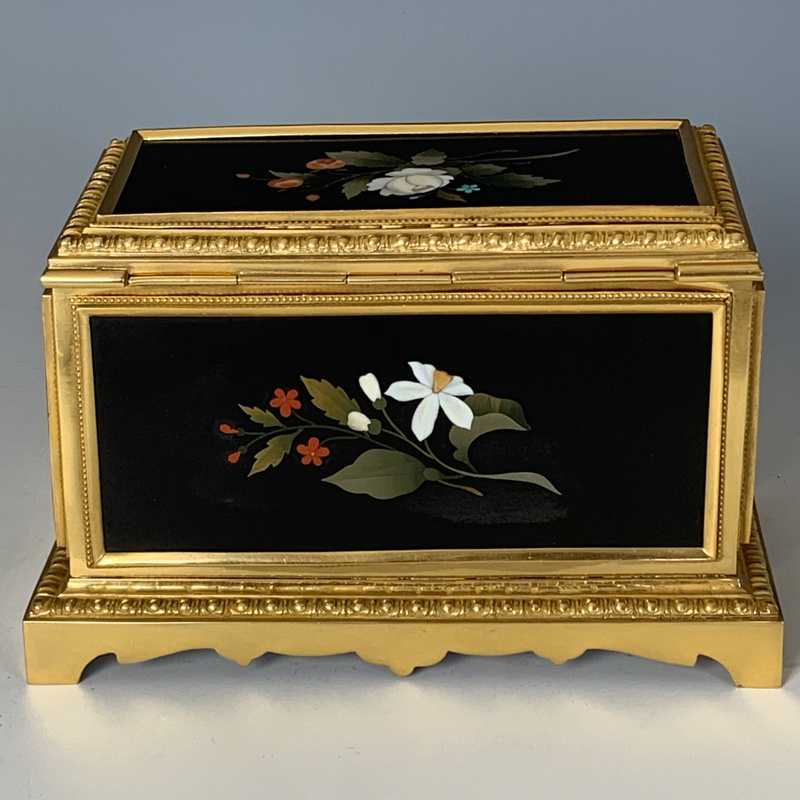 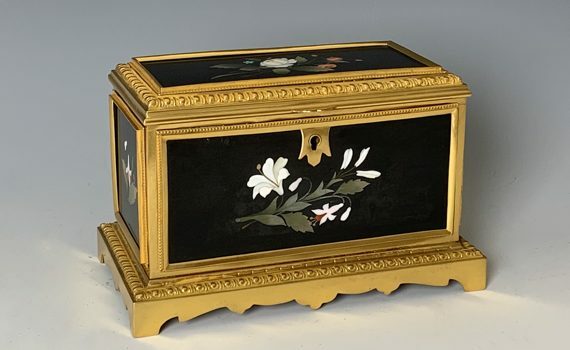 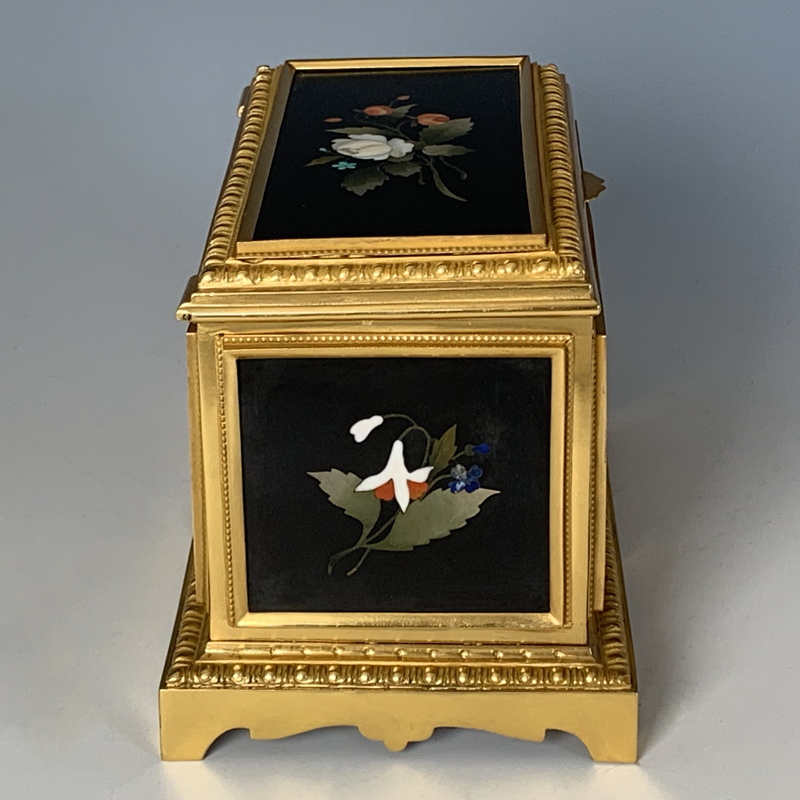 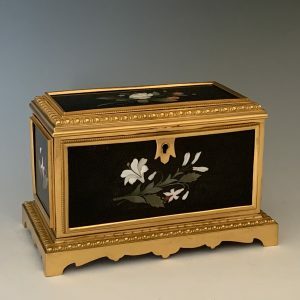 The rectangular box with ormolu framing five panels, each inlaid with a spray of different flowers, opening to reveal a relined velvet interior housing three glass scent bottles, each with a gilt rising lid centred by an inlaid insect. 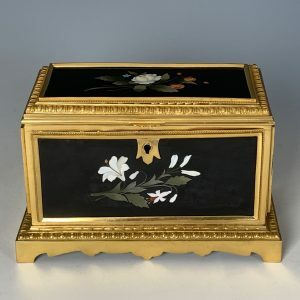 Case regilded. 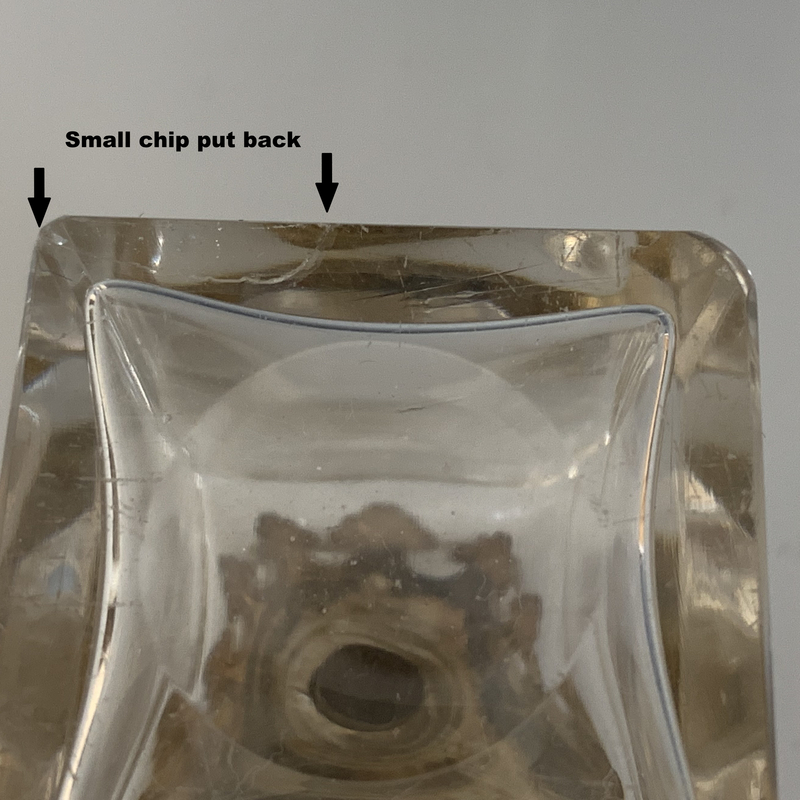 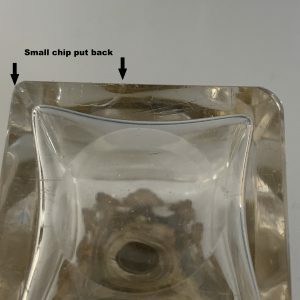 Small chip to one bottle restored.